Paw It 4ward was first established in 2013 by Azita Kay to assist local animal rescues with funds to offset the exorbitant medical bills they incur. This allows pets who otherwise wouldn't make it out of shelters to be saved without rescues drowning in debt. In 2014 Paw It 4ward expanded its reach and impact by becoming a rescue itself. They focus mainly on bully breeds with urgent medical needs in local kill shelters. All donations go toward the medical fund and rescue. Click here to follow them on Facebook to see all their amazing adoptables and exciting events. Donate directly to Paw It 4ward. 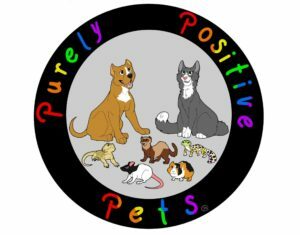 Purely Positive Pets Animal rescue celebrates the happy and positive of all pets. Their mission is to help any needy animal they can whether it is a dog, cat, hamster, ferret, snake, or bearded dragon. P3 is a foster based rescue group that takes in animals from county shelters, hoarding situations, and fellow rescues in need. Click here to follow them on Facebook and see feel-good updates on their adoptables. Donate directly to Purely Positive Pets.